iBeam™: Spatial compounding imaging technology, increases spatial resolution without any compromise in frame rate, thus collecting more useful information to generate higher quality images spatial compounding imaging. iClear™ adaptive speckle suppression imaging helps to visualize more tissue subtleties to improve diagnostic confidence. Micro-convex endocavity transducer 6CV1s (5.0/6.5/8.0MHz) Doppler ( 4.4,5.0Mhz) FOV 140deg. 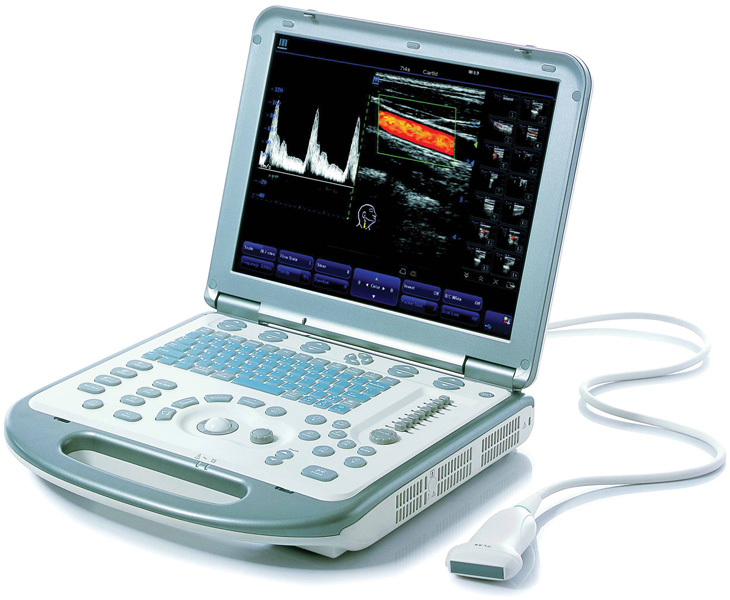 Intrarectal Biplane transducer 6LB7s (5.0/6.5/8.0 MHz) Doppler ( convex 4.4,5.0Mhz, linear 3.7,4.6Mhz) - FOV 168deg Convex/62mm Linear. iScape™ View module,View (panoramic imaging) and trapezoidal imaging allow to a wider field of view. Free Xros, Anatomical M Mode.